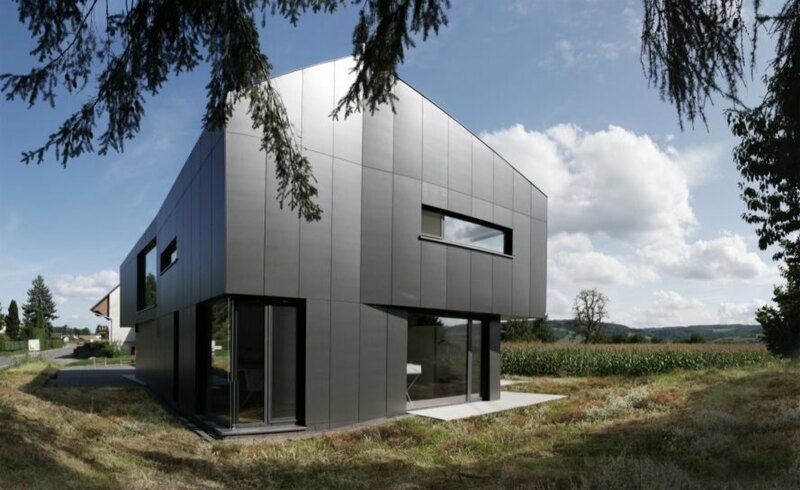 When architect Benjamin Heller of Radolfzell-based architectural practice Freier Architekt designed the Black House, he took design inspiration from the project’s location near the boundary of Germany and Switzerland. 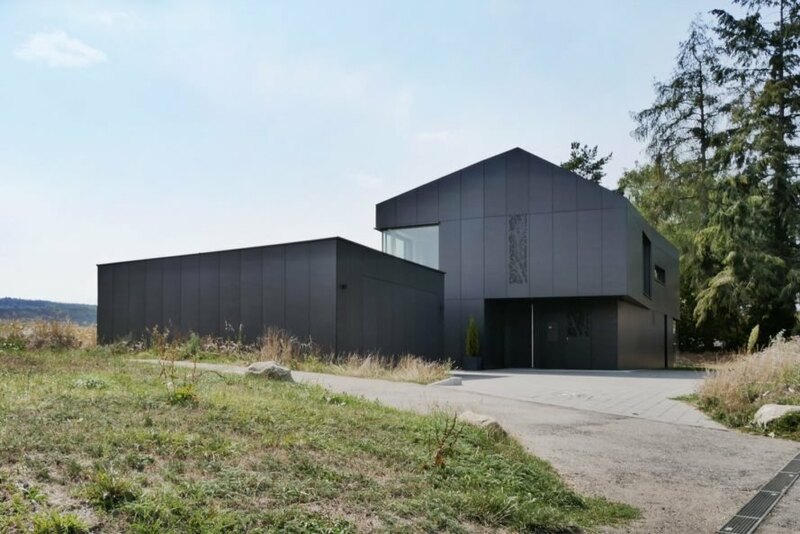 Created to mimic a boundary stone cut by hand, the Black House is an angular, multifaceted building that appears to conspicuously mark the edge of the small village in which it resides on the German border. More than just an exercise to emulate a distinctive stone, the home’s geometric form is optimized to take in panoramic views of the landscape and natural light as part of the project’s embrace of nature. 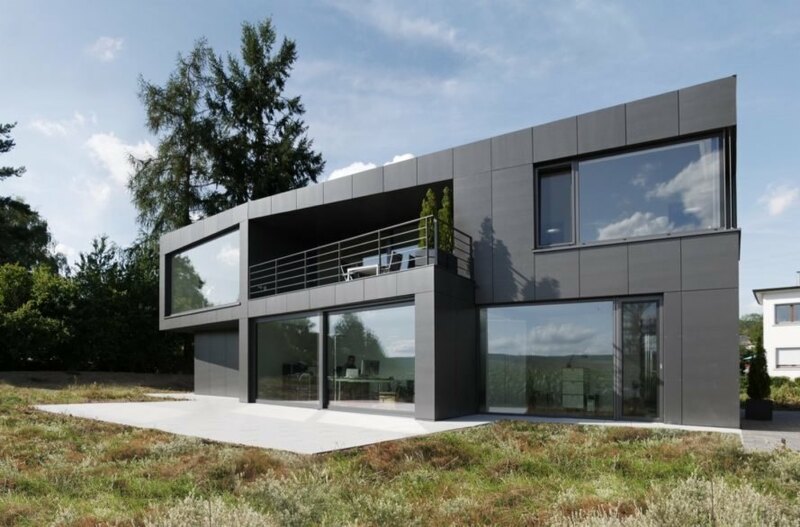 Located in the charming health resort Öhningen located close to Lake Constance, Germany, the Black House expresses the client’s love of nature in not only its location and framed landscape views, but also with its solid timber construction and energy-efficient technical equipment. For example, the house is sustainably heated with a system that uses a ground collector and heat pump. Spanning an area of 325 square meters, the Black House features two floors with a mix of public, semi-public and private spaces throughout as requested by the client. The home is entered from the east side, where a door opens up to a long hallway that branches off to a variety of rooms that includes sitting rooms, bathrooms and the ground-floor bedroom. Upstairs, an open-plan living room, kitchen and dining area dominate the majority of the floor plan and connect to a south-facing outdoor patio. On the east side is the master bedroom. 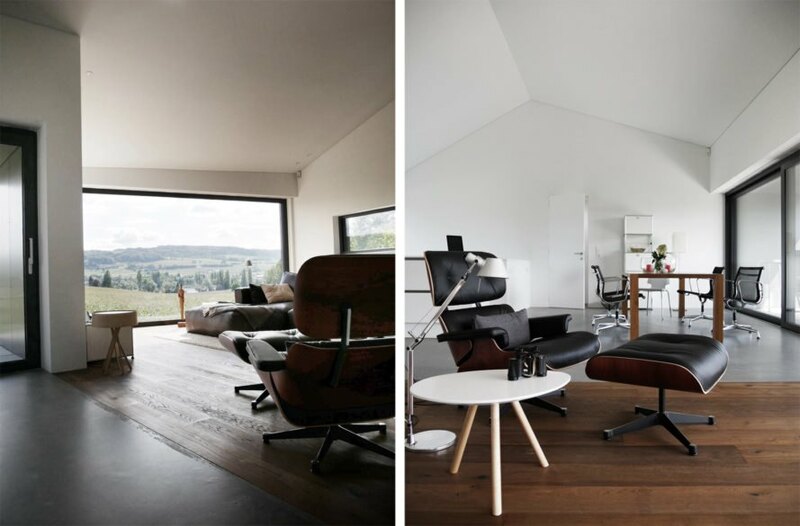 Benjamin Heller designed the Black House for a client who loves nature. The home lies on the border of Germany and Switzerland. The house is designed to mimic a boundary stone. 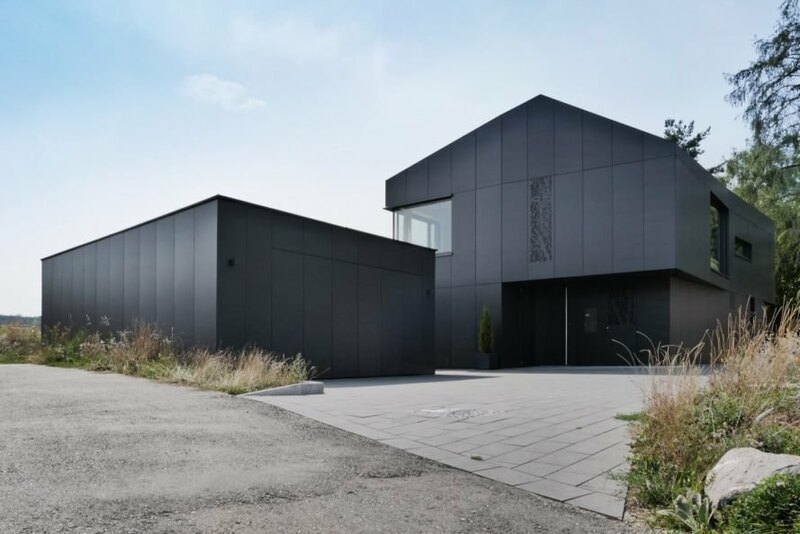 The dark exterior and geometric lines mark the edge of the small village where the home resides. 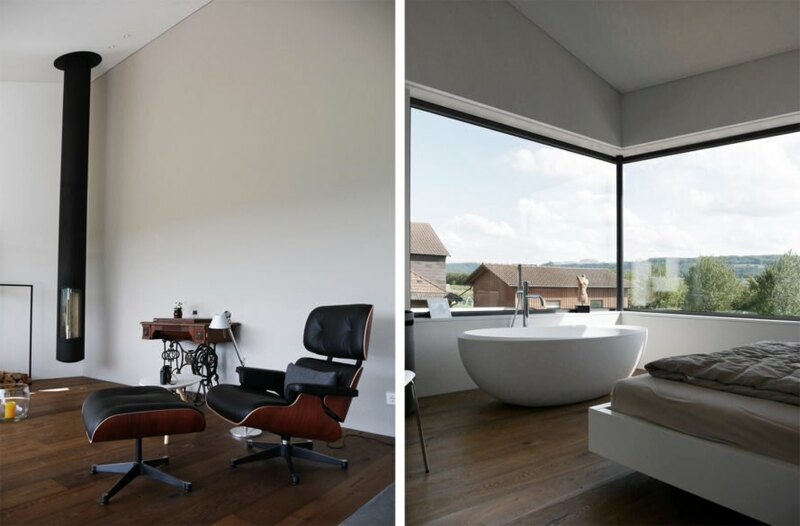 The geometric walls also provide unique views and access to natural light. A minimalist palette continues inside and out. The home features stunning views of its quaint surroundings. Glazed facades let in light throughout the day. The open-plan kitchen, dining and living area open to a south-facing patio.